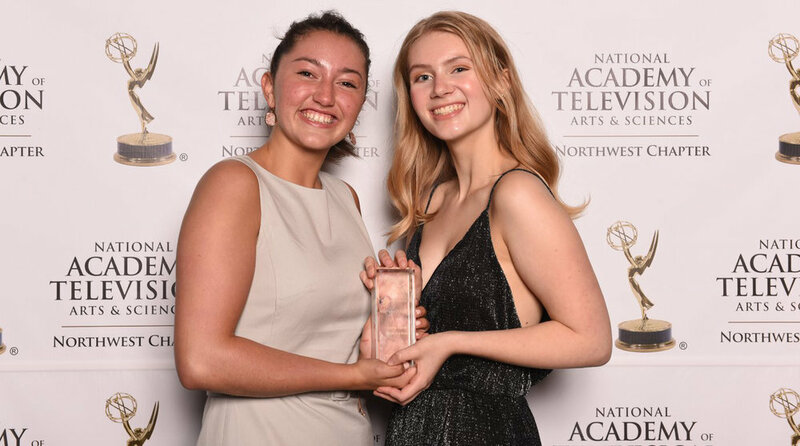 Students from high schools in Alaska, Idaho, Oregon, Montana and Washington are invited to participate in NATAS Northwest chapter's annual recognition of high school student television production. For videos of the 2018 winners please visit here. The 2018 recipients of High School awards. Over 200 students were culled from the 19 regional chapters of The National Academy of Television Arts & Sciences and selected by industry professionals and university professors to advance to the national competition. The winners were announced in a ceremony hosted by television personality Tom Bergeron, held at Emerson College in Los Angeles, CA. Our High School entrants showed themselves to be among the best in the country and we are very proud to honor their efforts. Our Call for Entry for the next Student Production contest will open within the next few months. I encourage students from around our region to enter. I congratulate all today’s winners and their advisors. The National Student Production Awards honors the recipients from all chapter high school awards. The awards event is held Thursday October 18th, and will stream online. More info here. The Pacific Northwest region submitted our 13 regional high school winners into the national competition. There is a total of 23 national categories. To have 9 of our 13 entries nominated shows the level of excellence offered in the high schools in the Northwest Region.